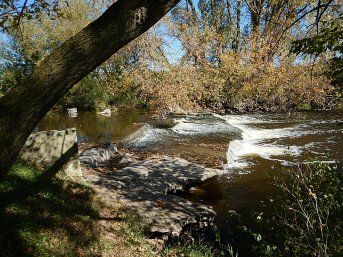 The Fund for Lake Michigan is supporting Lakeshore Natural Resource Partnership’s project to remove a fish barrier at Greendale Road in Sheboygan with this $58,660 award. The removal of this barrier will provide fish in Willow Creek access to approximately two miles of additional habitat. Importantly, Willow Creek is one of the only known coldwater tributaries in Wisconsin to have natural reproduction of Coho, Chinook, and Steelhead fish species. Creating additional habitat in this area will therefore support these species especially. This project will also restore a small amount of flood plain for habitat in the area.